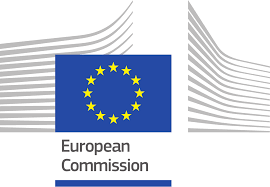 This message is addressed to EU exporters (to the people in the companies who deal with the export transactions) via the cluster organisations, to shipping companies handling import documentation and procedures in third countries and to EU economic operators with affiliates in third countries with whom the European Commission has Free Trade Agreements (FTAs). To help EU companies use the FTAs, the European Commission (DG Trade) is launching a pilot project on "Rules of Origin tool". This tool is integrated in the Market Access Database (http://madb.europa.eu/madb/indexPubli.htm ) and has now been put online for testing. Key stakeholders such as cluster organisations are invited to test it and to comment on whether the on-line tool would be helpful for their understanding of the applicable rules of origin and to receive comments on how the tool could be improved. If the outcome of this pilot project would be positive, the tool will be provided on a permanent basis.